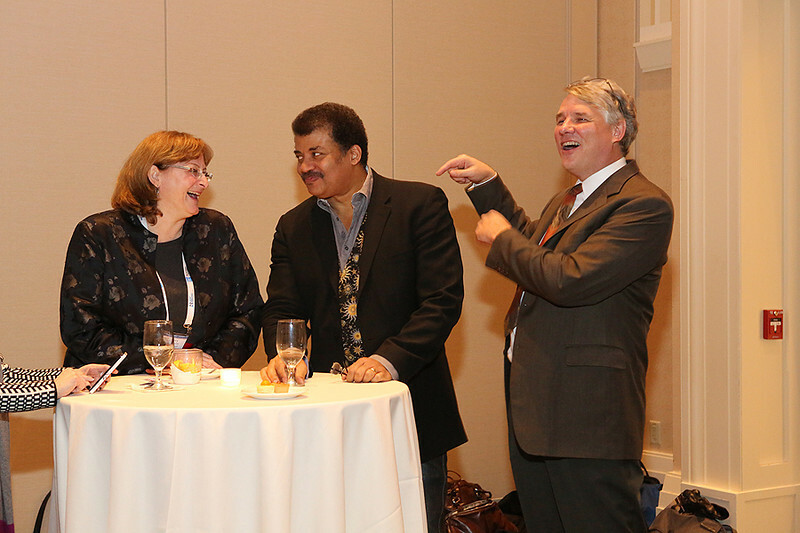 The AAS donors reception followed Neil DeGrasse Tyson's plenary presentation on Monday evening. Tyson (center) joined AAS President-Elect Meg Urry and Executive Officer Kevin Marvel in thanking those who have made generous contributions to the Society's prize, grant, and general funds. AAS photo © 2014 Joson Images.